She is also a graduate of UNC Dental School. She continued her dental education following dental school by attending a residency program at the Fayetteville VA Medical Center. Here she gained skill in treating medically compromised and geriatric patients, as well as learned advanced surgery techniques and surgical implant placement. 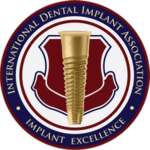 Dr. Sonner recently obtained Fellowship with The International Dental Implant Association under the direction of Dr. Arun Garg who is world renowned for his program. Dr Sonner as well as Dr. Abernethy and Wells completed a mission trip to the Dominica Republic with Dr. Garg where along with 40 other doctors donated the equivalent of 2 million dollars in dental implant surgeries. This provides teeth to natives that would otherwise never have the opportunity to gain chewing function again. In addition to the practice of dentistry, Dr. Sonner devotes much of her time in service for dentistry. She has served on her local dental society board for 6 years, serving as the President in 2013. In addition, she served on the Eastern Community Advisory Board for Medical Security from 2009-2012. She was the PACE chairwoman for the Academy of General Dentistry from 2009-2012. She is passionate about organized dentistry and volunteers much of her time participating in legislative events promoting dentistry. She is also passionate about the elderly and elder care. Both of Dr. Sonner’s parents have suffered from strokes an live with deficiencies since. She understands how much is involved when caring for aging parents and is compassionate about ensuring their dental needs are met in whatever capacity. Dr. Sonner strongly believes in helping our elderly keep their chewing function to protect their need for optimum nutrition and food choices as they age. She enjoys fabricating oral prosthetics when patients have lost their teeth and she also offers alternative options to help patients keep teeth as long as possible. Her father who was a national championship swimmer resides in a local assisted living facility where Dr. Sonner frequents with her family and enjoys time spent with all the residents. Raleigh Swim Association, founded by her father William Sonner, recently named their new year round training facility after him.